عندما تزور أديليد, ستشعر أنك في بيتك في فندق أمباسادور الذي يقدم لك إقامة متميزة و خدمات عظيمة. إن موقع الفندق الاستراتيجي، الذي يبعد 1 km فقط عن مركز المدينة، يسمح للنزلاء بالوصول سريعاً وبسهولة إلى العديد من الوجهات المحلية المثيرة. يشكل هذا الفندق ملاذاَ مريحاً للاسترخاء ويمنح زواره فرصة للاستجمام والتجدد، وهو يقع على بعد خطوات من المعالم السياحية الكثيرة للمدينة كمثل: ‪Town Hall‬, اديلايد تاون هال, ‪General Post Office‬. إن الخدمات الممتازة وحسن الضيافة العالي في فندق أمباسادور تجعل إقامتك تجربة لا تنسى. لضمان راحة ضيوفه، يقدم الفندق الخدمات التالية: واي فاي مجاني في جميع الغرف, مكتب الاستقبال على مدار الساعة, تخزين الأمتعة, واي فاي في المناطق العامة, صف السيارات . استمتع بوسائل الراحة الراقية في الغرف أثناء إقامتك هنا. بعض الغرف تتضمن تلفزيون بشاشة مسطحة, اتصال لاسلكي بالإنترنت, اتصال لاسلكي بشبكة الإنترنت (مجاني), غرف لغير المدخنين, مكيف هواء لمساعدتك على استعادة طاقتك بعد يوم طويل. كما أن مجموعة الخدمات الواسعة الموجودة في الفندق لضمان راحتك تترك لك الكثير من الخيارات لقضاء وقتك أثناء فترة إقامتك. استمتع بخدمات لا يعلى عليها وعنوان ذو اعتبار في فندق أمباسادور . Had a smashing time at the Ambassador and Adalaide , the hotel is in a very central part of CBD so it is very easy to get around on public transport . But what makes this hotel is the Staff , they go the extra mile , the service was outstanding. I would like to thank them for all they did for us . The location is right at the center of downtown on King William, very convenient. The staff lady is very friendly and personally showed me the room. You did need a little navigation since it was an old fashioned hotel with labyrinthine corridors. My room had a nice English decor and the heater did work with some noise and the bathroom was a bit too small. But basically everything was fine. The Internet worked ONLY in the lobby. It seems that Aussie hotels are still very stingy about offering free hotel internet when even Nepal and Malaysia hotels have free Internet everywhere! The hotel was lovely, very old but being done up, and we loved the lifet and hallways going to nowhere and the chandeliers. Staff were so lovely, every one of them, and the meals were excellent, i want to go back with more of my family. Plus, the beds were so comfortable, rooms clean, shower so hot. And it was cheap!! this hotel sign is to be carefully noticed from street, it shares entrance with game room/ casino and bar. the reception is doing his job like robot, then if you book the upstair room on 3rd floor, it' s a bit confused that you have to go to2nd floor by old fashioned lift with manual door close .after that a bit long walk up one level with sign on the wall. inside room at first, the light is too dim but wait for a while the brightness comes. the room furniture is old but ok for function. power outlets are only 2, one at the door and one in the bathroom; electric kettle can be used but have to puton the outlet in bathroom. if you want budget hotel in good location, this hotel is your choice; or else, choose the hostel or backpacker inn. Great location and nice staff. The breakfast isn't too great, but it's free. Would stay again! Decent old hotel near city, but clean and big room. Lift up to Level1, and a lot of luggage carry due to old building structure. Wifi not working at all time. Due to old building, there is some unwanted smell and I am really not sure of run away if there is fire. In this central Adelaide location this is acceptable value for the price. The staff especially is very hospitable and helpful working under what I suspect are challenging circumstances. 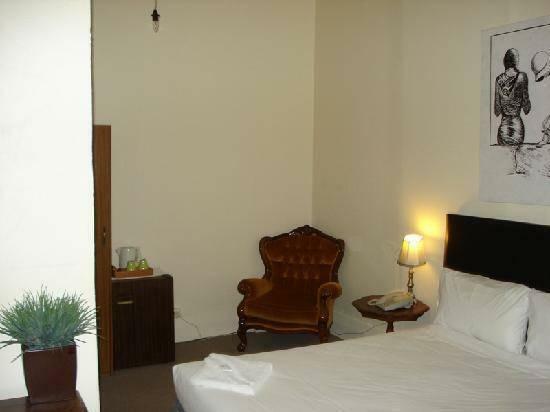 The room was spacious and clean albeit what one would expect from a vintage/pub style accommodation. The included continental breakfast was very generous and served in a character venue. Do take a special note of emergency exits however as the corridors are rambling and would be confusing in a fire blackout etc. Night time noise was the real problem. I was on the south side of the building and from about 10 pm empty bottles from the hotel were being dumped in a skip in the side alley at regular intervals until about 1am !! At 3 am the garbage collection truck then went for it ...thump thump thump ! I urge you to ask for a quiet room ....NOT on the south side of the building ! I sincerely hope this heritage Adelaide location one day gets the internal makeover it deserves. The proprietors couldn't have been nicer... It felt like visiting close friends! And Agoda's price couldn't be beaten. Despite the rock-bottom price, we were given a great room overlooking the main street. It's a very old hotel, and has been refurbished several times... Exploring was fun, as we found several staircases which led absolutely nowhere! There are still areas that can use a bit of restoration, and if you want everything looking like it was erected six months ago, this place may not be for you. But we had a great time, and waved farewell with smiles all round. We'd stay there again without a moment's hesitation. the location is great staff is nice. the air conditioning in the room we booked didn't work, which made the hot night unbearable. we talked to the staff, after they checked the problem, we were offered a better room. and they let us decide whether we wanted to stay in the upgraded room for the next night. Customer service was on point, Location Location Location, high ceilings!! 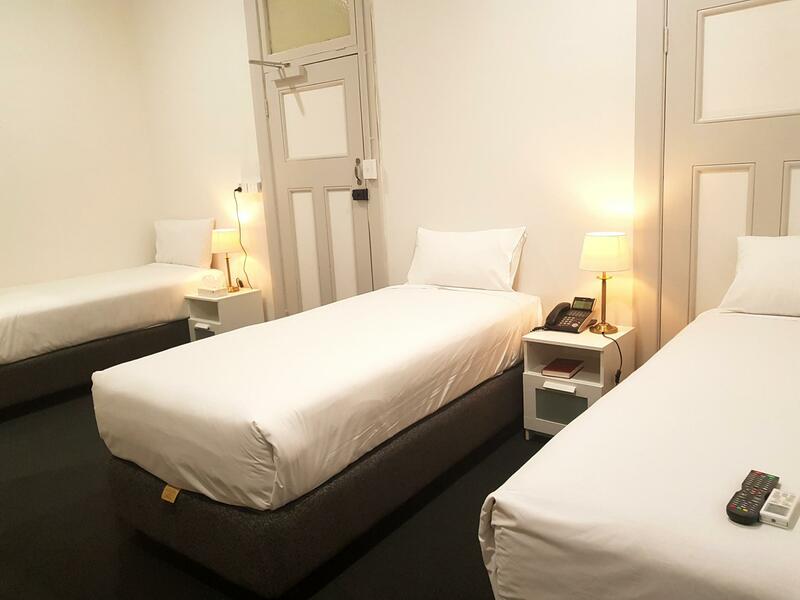 The hotel is strategically located on King Street which was the main street in Adelaide city, and we love the beautiful vintage design of this hotel as it reflected the home away from home feeling in Adelaide. We were given a free upgrade to their lovely Suite, definitely a bonus point for our honeymoon stay. The daily breakfast was simple yet delicious, with a range of breakfast cereals, bread for toast and variety of Lipton teabags. This is a definitely a great hotel to stay in for a peaceful night in the city. 1. No hotel sign of entrance, only gaming entrance 2. Nobody at reception counter and breakfast counter, notice to call sb from Gaming Counter 3. No lift to 3rd floor, very poor old lift to 2nd for with two doors on each side operated manually! 4. rooms musty 5. furniture with peeling paint 6. some rooms have no view at all. 7. No wifi connection in some rooms. I carried my 2 bags to the lobby so that the hotel can change to WIFI room (advertised free in room Wifi) but was not given such a room and i had to carry the bags up to 3rd floor the 2nd night. i was given room only on 3rd night, with WiFi. Pretty good. Just one night on the way through town. Centrally located. Had to park car in multistorey nearby. Breakfast just toast coffee cereal. Free Wifi ok. Staff very helpful. Room had bizarrely large bathroom. Window not openable. Aircon worked great. The old fashioned style was great, gives the hotel personality. The room was clean, cleaner than expected for an older building. It was a big room, large bathroom as well. It was chilly though. We could've used a small heater for nighttime. The staff was very friendly and helpful. The location is the best part. It's centrally located, a tram stop right outside, the airport bus stops round the corner and it's within walking distance to just about everything in downtown Adelaide. The only thing that I didn't like was that we left our luggage in the luggage room and it didn't seem like they locked the door. The luggage room is accessible to the public and sometimes there is no one in that side of the lobby keeping watch on that area. Adelaide seemed like a safe enough city and I was grateful that they offered storage service, but I'd feel better knowing it was locked up. Otherwise, I'd recommend this hotel. It was a nice stay. It was a surprisingly cold September night. i was cold sitting in my room, could not get the AC to give out warmth. So I went to bed - i actually like reading in bed. But the bed light was too dim. I found the room and the bed got colder so i put on the spare blanket on. At 2 am still cold - but decided not to disturb the staff! Should staff have anticipated the dim light and cold room? I would definitely stay at the Ambassadors again. The friendly staff went out of their way to make sure I enjoyed my stay. The room (standard double with breakfast) was clean, comfy, light and a decent size. 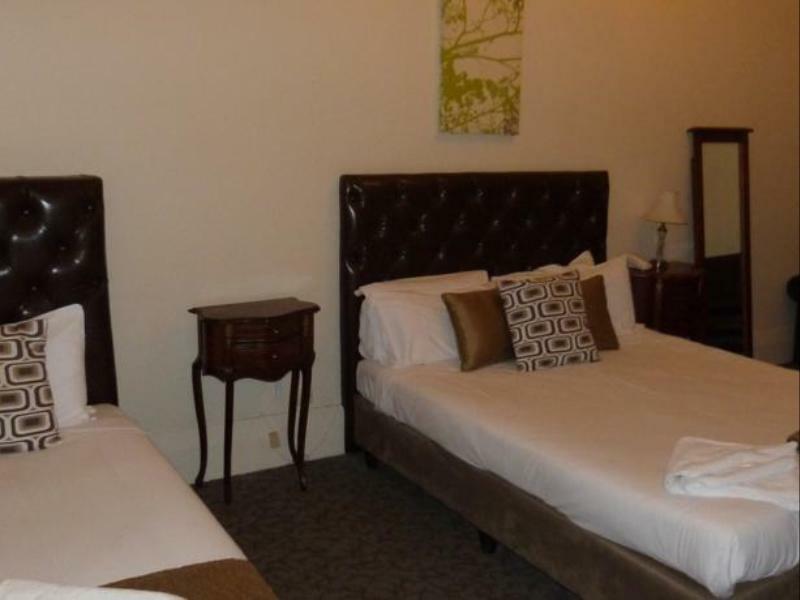 The location was fantastic - walking distance to many of Adelaide's attractions, close to public transport and the airport. I was very impressed.